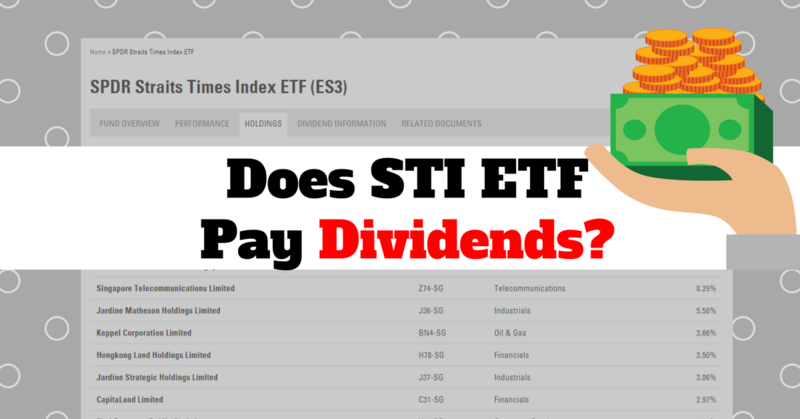 How Does STI ETF Give Out Dividends? How Does STI ETF (SPDR & Nikko AM STI ETFs) Give Out Dividends? Many people have queried whether STI ETF gives out dividends. The answer is YES! And yes to both SPDR and Nikko AM STI ETFs. 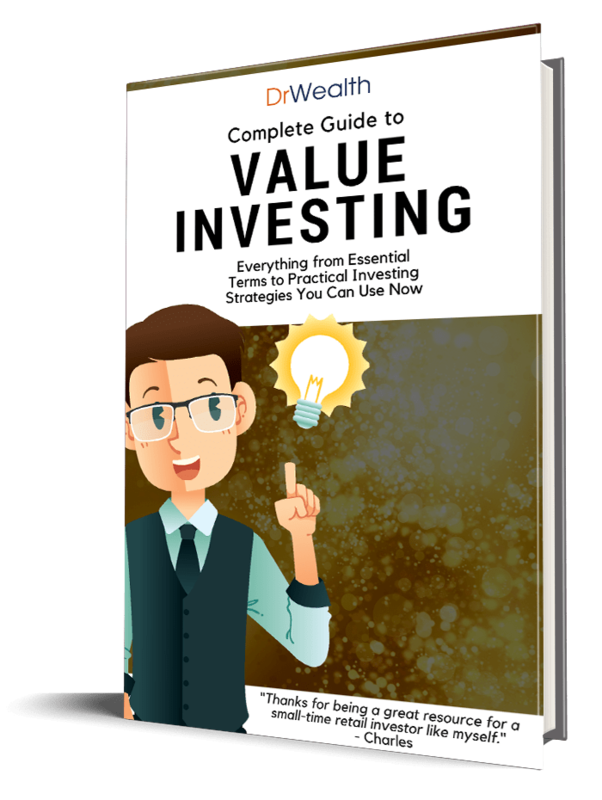 The follow up question would usually be “how does STI ETF give our dividends?” It is a more than a straight forward answer which I will explain the workings in this post. Both SPDR and Nikko AM STI ETFs hold their assets with Trustees. This includes the dividends paid out to the Funds by the individual stocks under the Funds’ holdings. These dividends are withheld until the distribution dates. The dividends are deposited in cash, into investors’ designated bank account linked to the Central Depository (CDP). The mode of receiving the dividends is similar to other stocks listed on SGX. Nikko AM STI ETF – Semi-annually, around May and October each year. SPDR STI ETF – Semi-annually, but dates were not stated in the prospectus. Based on historical payouts, the distributions to investors were in Jan and Jul each year. But the recent distributions were in Feb and Aug. The Funds will take their fees from the dividends before distributing to the ETF investors. Hence, the dividends received by investors are lesser than the dividends received directly from the companies. As the Funds’ expenses are low, the dividends are more than enough to cover the fees and the excess will be distributed to investors. However, it is stated in both Funds’ prospectuses that in the event the dividends are not sufficient to cover costs, the Managers may sell some units or make short term loans to top up the difference. [From Nikko AM STI ETF’s prospectus] To the extent possible, the Fund’s fees and expenses will be paid out of the dividends the Fund receives. To the extent dividends received by the Fund are insufficient to meet its fees and expenses, the excess will be met by disposing of part of the Fund’s portfolio of Index Shares and/or by short-term borrowing. The expense ratio of SPDR and Nikko AM STI ETF are 0.3% and 0.28% per annum respectively. The dividends are deemed as income to the Fund Management Companies and hence, they incur corporate tax at 17%. This is one of the downsides of investing in an ETF, whereby dividends are further reduced by taxes. If you have bought the shares of the companies directly, the dividends will not be taxed. Although the dividends are lesser after the deduction of fees and taxes, dividends still contribute to 30% of STI ETFs’ returns. Hence, dividends have increased the Fund’s returns by 3.25% per year. This constitutes 30% of the overall STI ETF Returns! STI ETF provides a decent annual returns on your investment, provided you are able to tolerate the volatility as the stock market rises and falls. Without trying to pick your own stocks or to time the market, you can achieve 8-10% annual returns over the long run. I have showed that dividends payouts are important to the returns. It is important to note that the 10.73% annual returns is achieved by reinvesting the dividends. These dividends are paid out in cash into your bank account. Hence, you need to make an effort to reinvest this amount into the STI ETF again. Otherwise, your returns will be slightly lower. Hi, I am always interested in doing dollar averaging investment in STI ETF. But I am curious how does the ETF charge us for the management fee itself? A part of the dividends is used to pay the management fee. The remaining amount is distributed to the ETF investors. Hi Alvin, how do i manually reinvest my dividends upon receiving them? Assume you have received $500 worth of dividends. Buy $500 worth of STI ETF again. But I won’t suggest you do it for small amounts as the commission would be too large. Just accumulate and buy in the future. If you use a regular investment plan, adjust the amount by an additional $500. After the investment has been done, lower the monthly investment back to the original amount. I m considering between Philips sbp and ocbc bcip which uses different sti etf and each platform comes with diff cost and fees structure. a) if I had $1,500 (or any other amt for tt matter) out of pocket to invest every month, am I better off investing in spdr sti etf thru philips sbp or nikko sti etf thru ocbc bcip ? b) Does the answer also depend on the amt one is able to fork out per month ? I realize this is not a apple to apple comparison and hence not easy to build a spreadsheet. Appreciate your help. any monthly investment amount above S$1,000, go for POEMS. POEMS charges are lower at 0.2% while OCBC is at 0.3%. any monthly investment amount of S$1,000 and below, go for OCBC. OCBC charges are lower at 0.3% versus POEMS charges at 0.6% to 3%. POEMS charges 0.2% fee (but subject to min fee of $10.70). OCBC is waiving the $5 min fee for its launch promotion, but no telling how long this will stay unchanged. My dilemma is that while OCBC’s cost structure is lower, it only offers the nikko version of the sti etf, which has a lower declared dividend, smaller fund size (and hence lower liquidity), and a shorter fund history. I am not sure whether these factors are negligible in the choice of the sti etf to invest in. If I can set aside $1.5 – $2k per month, should i DIY the RSP thru stanchart online trading (and save on the fees, but at the expense of having to purchase whole lots each time) ? I do not think Nikko STI ETF will fare worse going forward. If it is worse, it won’t be miles behind SPDR STI ETF. They hold similar stocks in their portfolio. I would prefer to go with OCBC or POEMS if I were you. Automate it so that you take the emotions away. Sometimes, you may think that the stock market is too high or too low, you may not pull the trigger to buy on a regular basis. Your RSP intent will not be met. The dividends are taxed at source and not taxed again as income tax to the fund management company. The SPDR ETF annual report stated that. Please tell me that I am wrong by pointing me to the literature. Hi Dennis, thanks for pointing it out. I went to check and yes, Singapore practises one-tier corporate tax. I have amended the article. Hi, I like the way you mentioned about the annualised 7.48% returns, and if we compound it mathematically, the invested sum will be handsome after a certain number of years. But in practice, the ‘7.48%’ or ‘10.73%’ is only applicable to the funds invested in that year, and dollar averaging only works for that sum based on that respective year. Nice deal. But the money invested in the next 12 mths is not compounded with this $12,897.60, simply because this $12,897.60 is already in the ETF and it’s subjected to fluctuation in ETF price already. This means the 7.48% can only work in the following year. Effectively, we can only compound the 1st year’s money if we sell everything and reinvest the 1st year’s ($12897.60) money. It could be something like $1074 (1st year’s investment divided into 12) +$1000 (2nd year’s new investment) per mth x 12 mths already. Only then, we are considered compounding. And this can go on and on in cycles. However, that is IF the market is on a sideway movement and dollar averaging will work (same money buy more units when ETF price is low). But if the market is bearish on the 2nd year, the total returns are falling… because I have invested the 1st year’s money as well. And imagine we hit a bear market in the 5th year, to equal the money effect for the 5 years, we need to put alot more money per mth to sustain dollar averaging. Hope you can shed some comments and advise in this. Hi Westin, calculating returns is high dependent on the start date and the end date. The returns mentioned in this article is between the period of Jul 2003 and Jul 2013. Taking 7.48% as an example. This means that if you invested in Jul 2003 and in Jul 2013 you do a stock take, you will realise your portfolio has grown at an average rate of 7.48% per year. And you did not do anything (either buy or sell) in between these two dates. But this does not mean in any year (between 2003 to 2013) you expect the portfolio to grow steadily at a constant rate. In some years it may have a negative return while in other years the portfolio made more than 7.48%. Average out you get 7.48%. And of course, it isn’t arithmetic mean. It is a compounded average. You will have to use Compound Average Growth Rate to calculate the returns. Hi, I found this site while researching on using cpf OA to invest in STI ETF, does anyone have any views on this? 2) You are able to handle losing years emotionally. STI ETF do not make you money every year. Some years good and some years are bad. 3) You would need to invest at least 5 years to even out the volatility. Was just considering to compare STI vs a 21year endowment performance. But while the history of STI can be found, there don’t seem to be available ETFs back at that time to compare to, especially considering the Total Return which include dividends. Please advise! I’m trying to learn doing comparisons ? Like you have rightly pointed out. The STI ETF is only available about a decade ago. But you can use the index to approximate, as it is inclusive of dividends. The only additional factor you would need is the management fee per year. I noticed the Nikko AM STI ETF has a much lower dividend yield from STI ETF (2.68% vs 6.56% in 2016). Is it still worth the investment? The dividend yields should very similar between the 2 ETFs because they are tracking the same index. I highly suspect 6.56% is wrong. I calculated the yield to be 2.7%. we take the latest 2 dividend distributions (because semi-annual payments) $0.0452 paid on 15 Jan 2016 and $0.0344 on 15 Jul 2016, divided by current price of $2.99. hi there alvin, so far i have noticed dividends payed from nikko etf is only 2++%, but in your post you said it could go up to 7-10%, was wondering how is this possible with the current interest rates? 7-10% was the total return (dividends + price appreciation) in the preceding periods when we wrote this article.